How many of you have ever had trouble using the Tappits letter cutters? I sure have! For those of you who have read the John Deere cake tutorial, you already know the frustration I had with them. But after making that cake, I was determined to figure out the trick to using these things! I mean, people use them all the time... there must be some kind of trick to get those letters to pop out of the cutter in one piece! Well, I've figured it out! And I'm going to share the method I use to get perfectly cut letters! 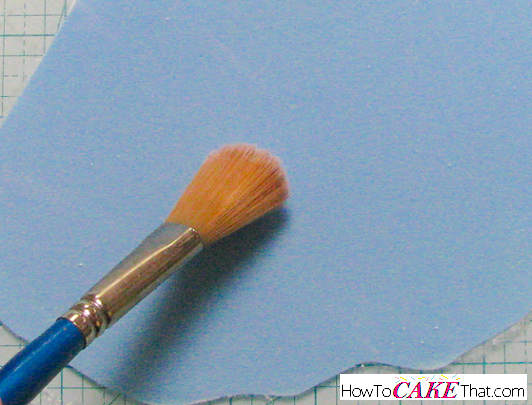 For this tutorial you can choose to use just fondant, or you could use a blend of fondant and gum paste... or you could use all gum paste. 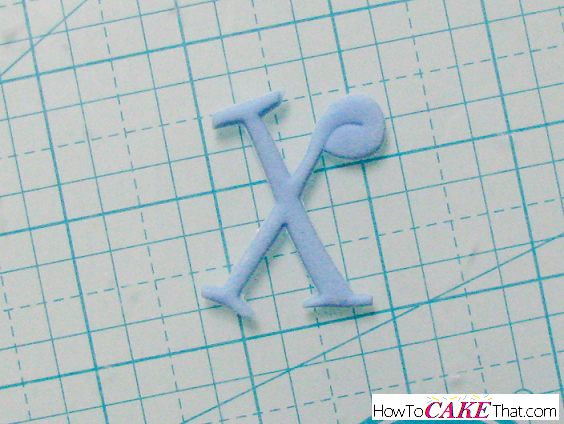 I prefer to just use fondant for my letters - gum paste is a little pricey and it isn't necessary for this tutorial. 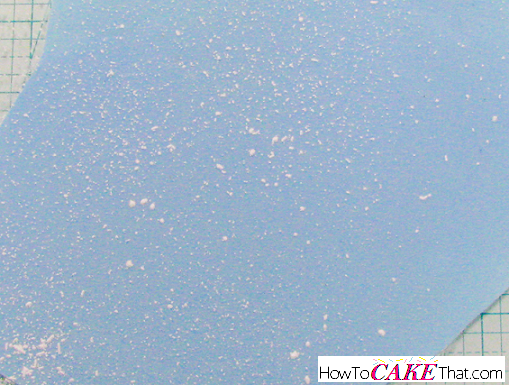 To begin, knead your fondant on a surface dusted with cornstarch (it is important to use just cornstarch. No shortening or powdered sugar). Next, roll out your fondant on a surface dusted with cornstarch. Be sure to roll your fondant thin! Next, lightly dust the surface of the rolled fondant with cornstarch. Using a large soft brush, dust away the excess cornstarch. Ensure every inch of the fondant's surface has come into contact with the cornstarch. The cornstarch helps to keep the cutters from sticking to the fondant. 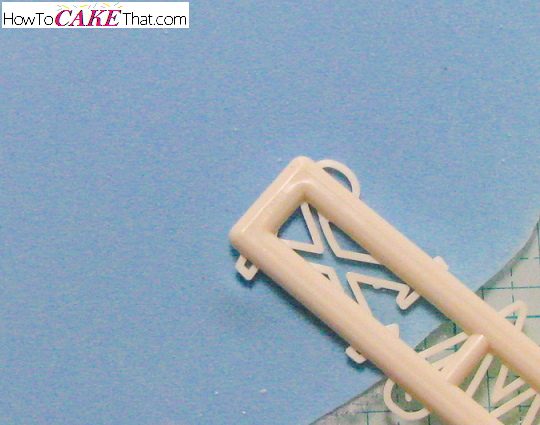 Next, place your letter cutter on the fondant and press down until the cutter cuts through. Use your finger to lightly wiggle the cutter back and forth and up and down to separate the cutter from the sheet of rolled fondant. Lift your cutter from the sheet of fondant. Your fondant letter should still be sitting inside of the letter cutter. 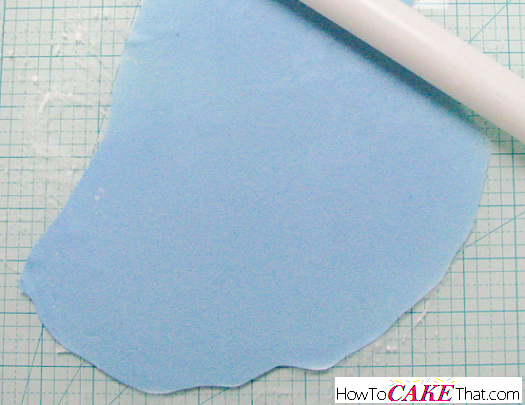 Tap your letter cutter on a hard surface repeatedly to remove the fondant letter. Usually my letters fall out with one or two taps. If you're having trouble with your letters not coming out of the cutter, your rolled fondant may be too thick. Use your rolling pin to roll it out a little thinner, dust with cornstarch and try again. Once you have cut out all the letters needed, let them dry for at least 15 minutes before moving them to your cake. To adhere them to your cake, just brush the back of each letter with a tiny bit of water or alcohol and stick them to the cake. Note: Since the Funky letters set requires the fondant to be a little thicker to pick up the swirl designs, it still gives me trouble from time to time even after following these steps. But most of the letter should still fall away from the cutter. Just use a needle to gently remove the remaining stuck pieces from the cutter. 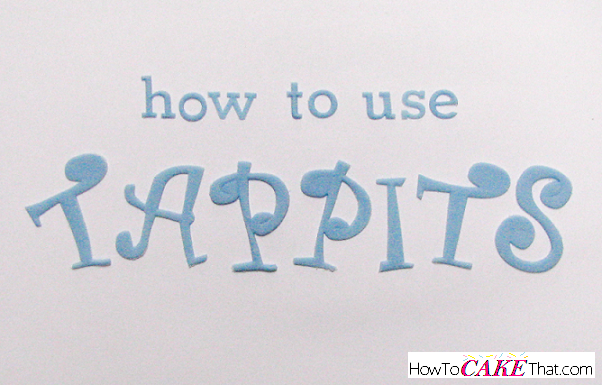 And that's the easy way to use Tappits fondant letter cutters! I hope you have enjoyed this tutorial! God bless! !